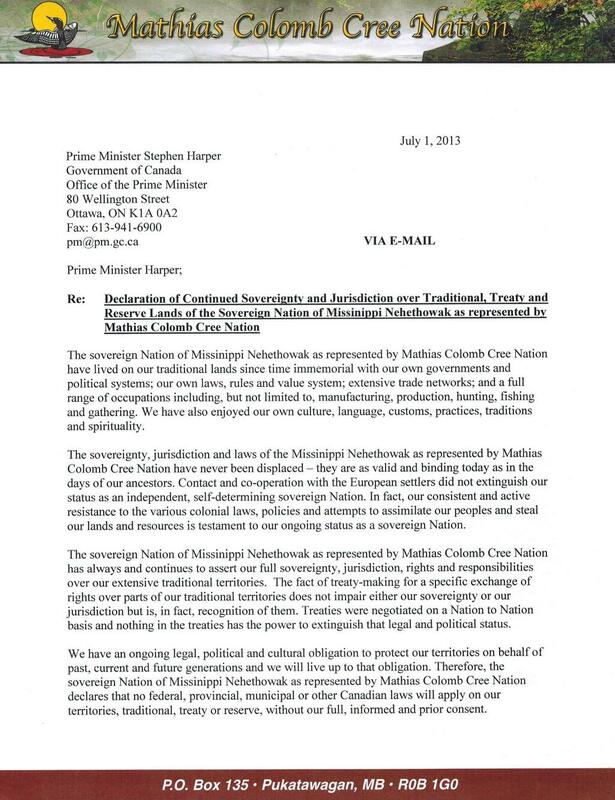 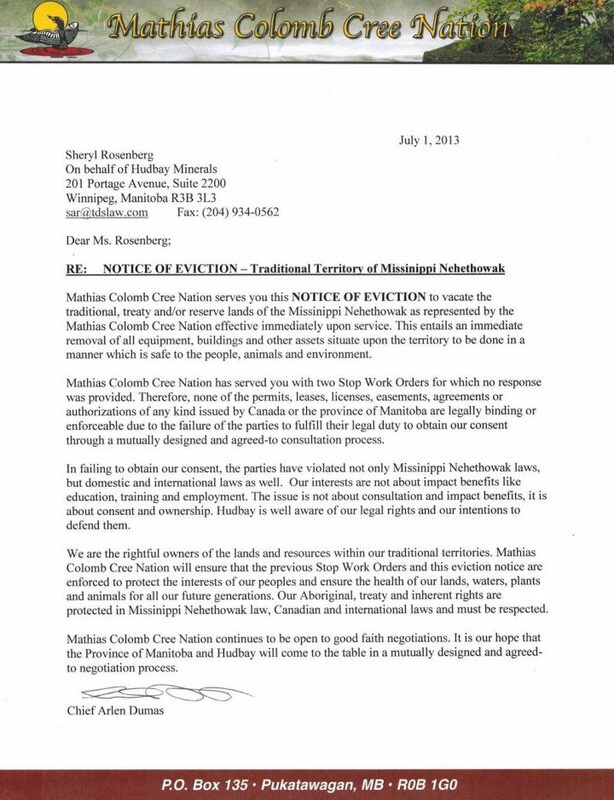 Mathias Colomb Cree Nation, MB: Today, the sovereign Nation of Missinippi Nehethowak as represented by Mathias Colomb Cree Nation (MCCN) delivered an eviction notice to Hudbay Mining and Smelting Co., Ltd. (Hudbay) and the province of Manitoba to vacate MCCN traditional, treaty and reserve territory. Previously, on January 28 and March 5, 2013 Chief Dumas served two Stop Work Orders to Hudbay and the Province of Manitoba. Both site visits were peaceful gatherings where community members engaged in drumming, singing and cooking traditional foods. 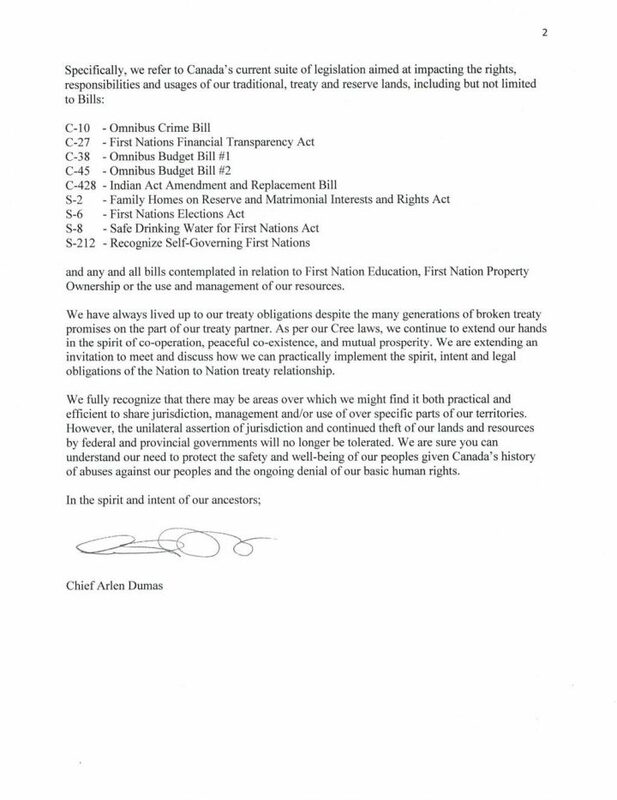 Hudbay subsequently sued Chief Dumas, MCCN band members and Pamela Palmater, an Indigenous activist, and obtained injunctions to prevent them from attending the site. 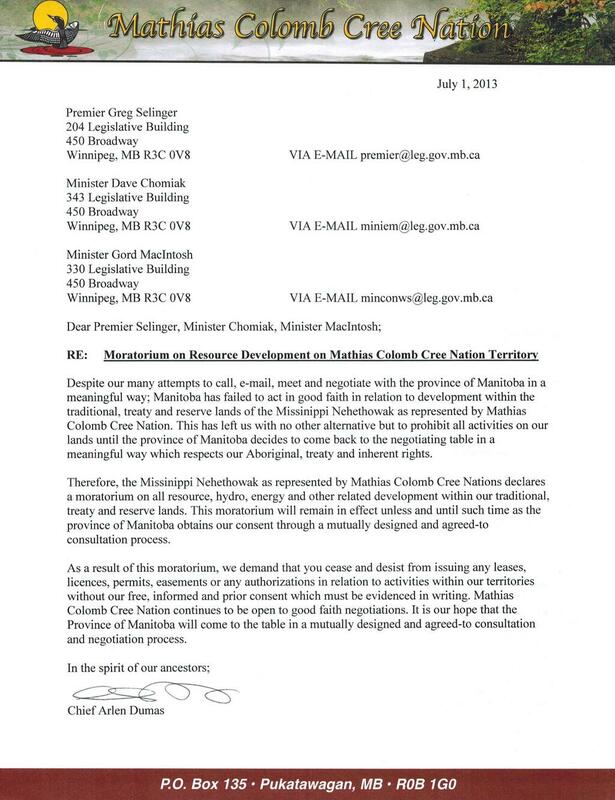 Today, a delegation representing sovereign First Nations and individuals from various parts of Canada, acting under their own control and direction have indicated that they will attend at the Lalor Lake mining site on MCCN territory to support the community of MCCN. 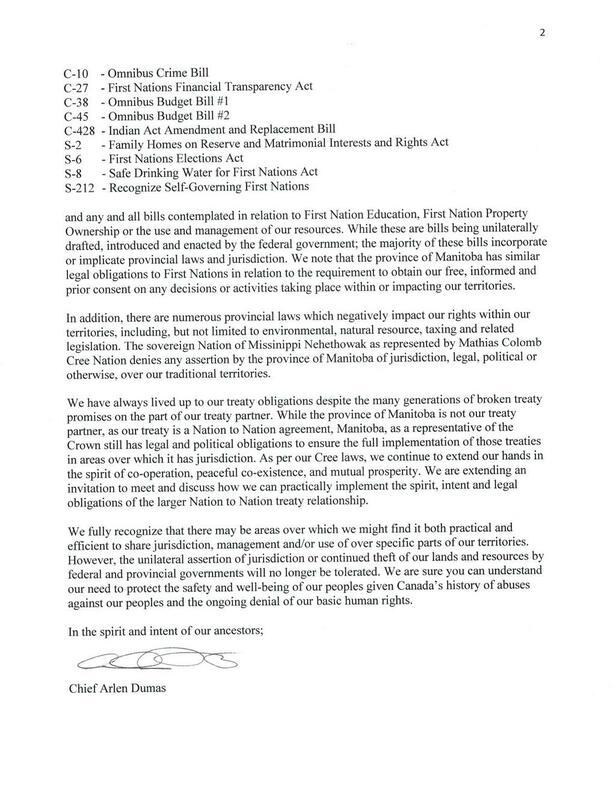 Despite recent letters from Hudbay threatening to go afer individuals who support MCCN, the delegation is determined to defend the Aboriginal, treaty and inherent rights of MCCN. 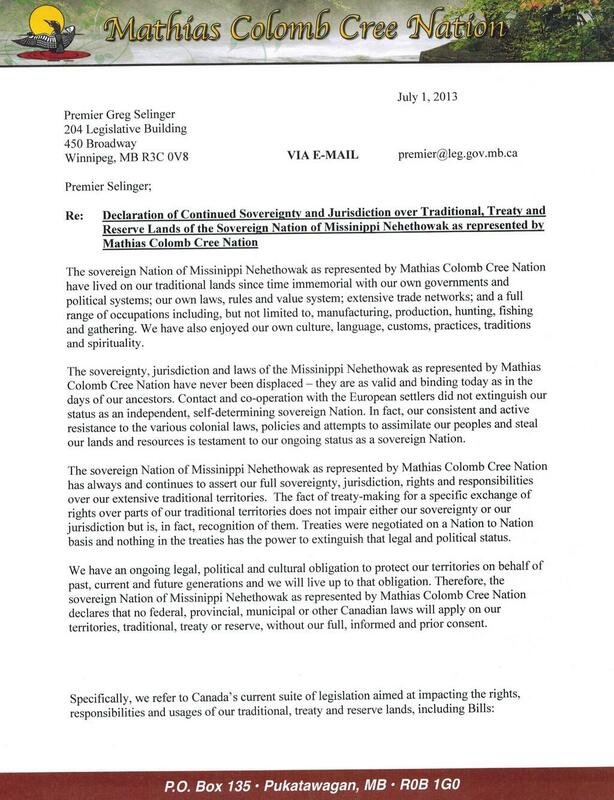 MCCN also issued declarations today informing both federal and provincial governments that no external laws will apply on their territory without their free, informed and prior consent. Keewatinowi Okimakanak – Brennan Manoakeesick (204) 795-0449.